Individually wrapped and perfect for Easter dinner, quick desserts for your family or a surprise for the office staff. 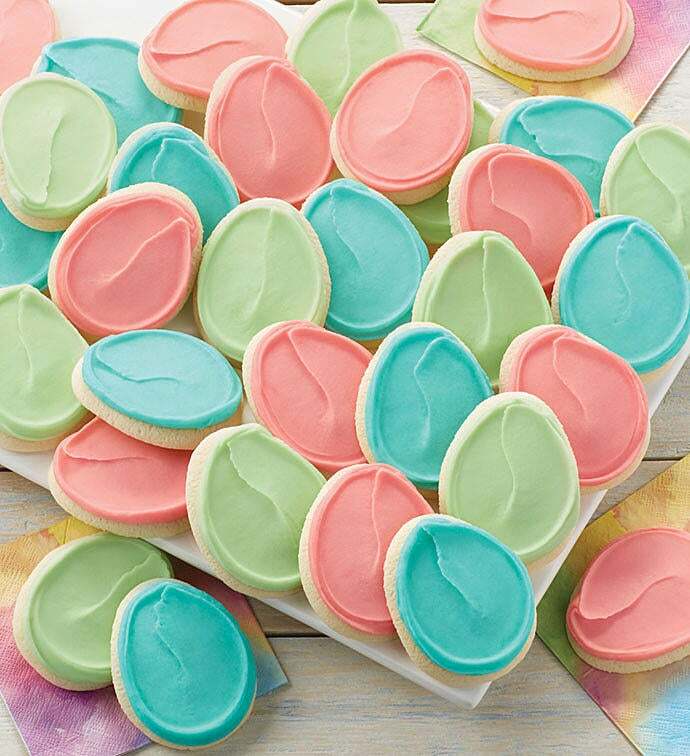 Our signature bow boxes arrive overflowing with a delicious assortment of our yummy buttercream frosted Easter egg cut-out cookies! OU D.